Every bride wants to find that one dress that makes her feel her most beautiful on her wedding day. Women search all around, high and low, to find the gown that brings tears to their eyes and warms their hearts from the moment they slip it on to the moment they wear it down the aisle. However, what do you do when you simply can’t seem to find the vision in your head in real life? You create it of course! Sometimes what you are looking for just may not exist. Hard to believe with the hundreds of thousands of gowns out there but it’s impossible to see every gown in the world to find the one specific one that you having been dreaming of all these years. A wonderful alternative to a never – ending search would be to find a gown that comes as close to your vision as possible and customize from there! Once you find the gown that is close to capturing your bridal vision, it is important to find out how that designer is with customizations. Normally customizing a gown can get pretty expensive, especially if you are making a lot of changes or starting from scratch. Luckily, one of the wonderful things about a designer like Pnina Tornai is that customizing her gowns will not cost you an arm and a leg. Pnina understands that sometimes a gown may need a bit of tweaking here and there and in her quest to make every Pnina Bride feel as special as possible on her wedding day, Pnina makes customizing her gowns very affordable. One of the incredible things about creating your own gown is that you know it will be one-of-a-kind! Completely unique and completely your own; there is something wonderful about knowing that your gown is one of one instead of one of five thousand. Also, being part of the designing process will give you a special connection to your gown and working with the designer will create memories that you will cherish forever. 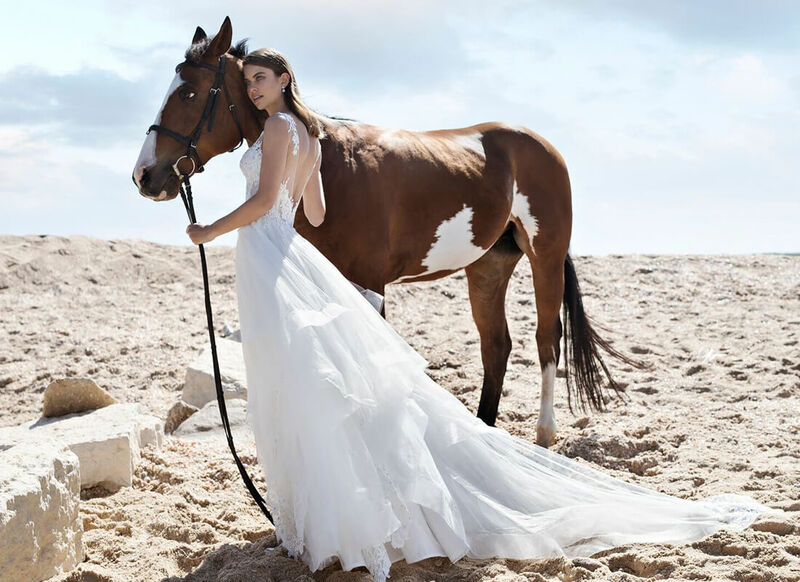 One of the best times to customize your Pnina Tornai gown would be during a trunk show when she is at the Pnina Tornai Boutique at Kleinfeld Bridal. Not only do you get to meet and work with her but you will get a discount on your gown as well! Your wedding dress is one of the most important gowns that you will ever wear. It should be exactly what you are looking for and you should have no doubt that it is the perfect gown for you. Customizing your gown is one way to ensure that when you marry the love of your life that you are wearing the gown of your dreams.